Well, the weather is about to take a serious turn for the worse here, so what better time to start sharing photos of our trip to Hawaii? 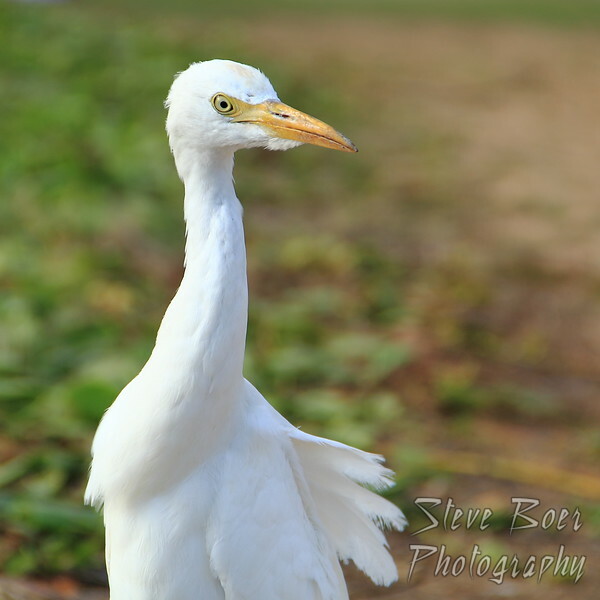 I like this shot I got of a cattle egret. Even though his head was only turned about 90 degrees, somehow it looks to me like it was more like 450!